NTSC - Global warming aura of heat radiation envelopes the Earth in space (Loop). sd00:30PAL - Global warming aura of heat radiation envelopes the Earth in space (Loop). 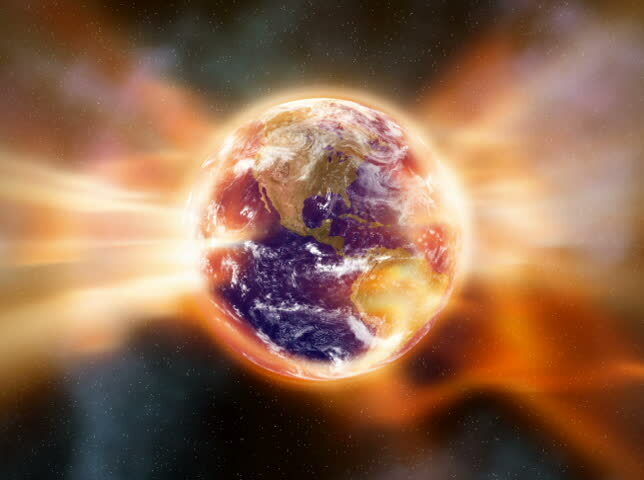 4k00:16Animated of the globe with the Sun. 4k00:29Spining Earth and zoom in. Planet Earth rotates, 4K Ultra HD. Extremely detailed image, including elements furnished by NASA. sd00:30NTSC - An aura of luminous radiation envelopes the Earth in space (Loop).